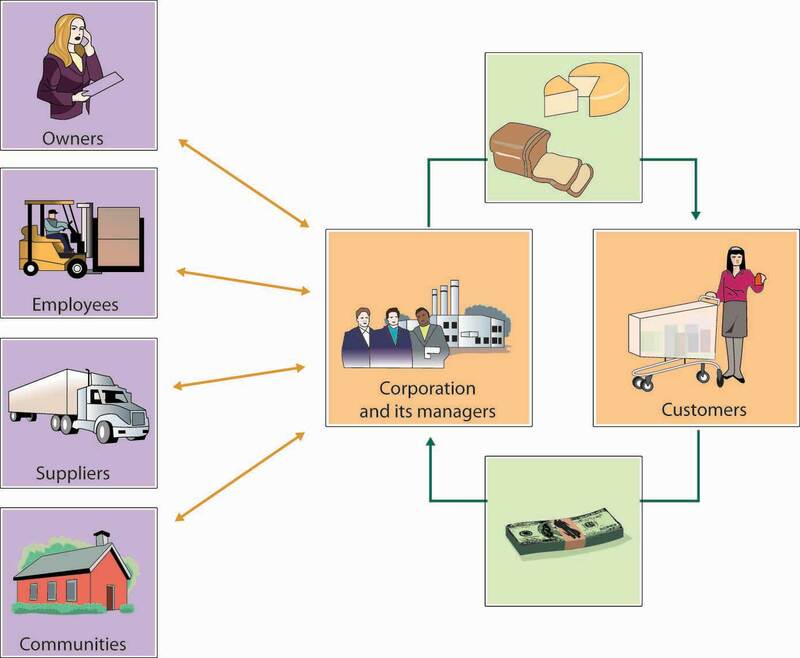 This is “Business Ethics and Social Responsibility”, chapter 2 from the book An Introduction to Business (v. 1.0). For details on it (including licensing), click here. The one question Betty Vinson would prefer to avoid is “Mommy, why do you have to go to jail?”This case is based on Susan Pullman, “How Following Orders Can Harm Your Career,” Wall Street Journal, June 23, 2003, CareerJournal.com, http://www.careerjournal.com/myc/killers/20030630-pulliam.html (accessed April 24, 2006). Vinson graduated with an accounting degree from Mississippi State and married her college sweetheart. After a series of jobs at small banks, she landed a midlevel accounting job at WorldCom, at the time still a small long-distance provider. Sparked by the telecom boom, however, WorldCom soon became a darling of Wall Street, and its stock price soared. Now working for a wildly successful company, Vinson rounded out her life by reading legal thrillers and watching her twelve-year-old daughter play soccer. 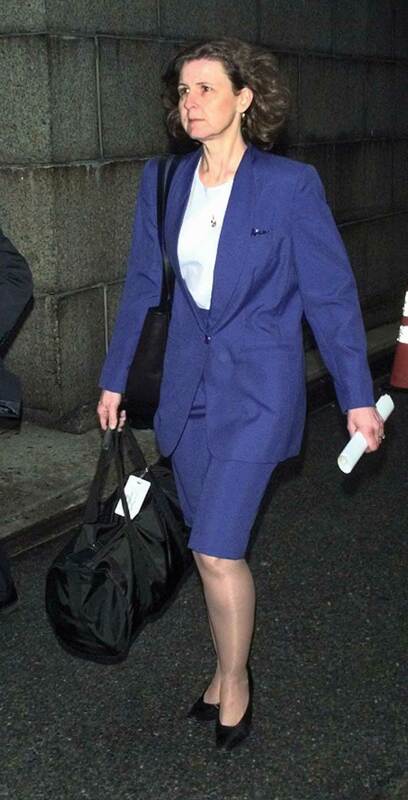 WorldCom Inc.’s former director of management, Betty Vinson, leaves Federal Court after pleading guilty to securities fraud October 10, 2002, in New York City. Her moment of truth came in mid-2000, when company executives learned that profits had plummeted. They asked Vinson to make some accounting adjustments to boost income by $828 million. She knew that the scheme was unethical (at the very least) but gave in and made the adjustments. Almost immediately, she felt guilty and told her boss that she was quitting. When news of her decision came to the attention of CEO Bernard Ebbers and CFO Scott Sullivan, they hastened to assure Vinson that she’d never be asked to cook any more books. Sullivan explained it this way: “We have planes in the air. Let’s get the planes landed. Once they’ve landed, if you still want to leave, then leave. But not while the planes are in the air.”Susan Pullman, “How Following Orders Can Harm Your Career,” Wall Street Journal, June 23, 2003, CareerJournal.com, http://www.careerjournal.com/myc/killers/20030630-pulliam.html (accessed April 24, 2006). Besides, she’d done nothing illegal, and if anyone asked, he’d take full responsibility. So Vinson decided to stay. After all, Sullivan was one of the top CFOs in the country; at age thirty-seven, he was already making $19 million a year.Amanda Ripley, “The Night Detective,” Time, December 22, 2002, http://www.time.com/time/personoftheyear/2002 (accessed April 24, 2006). Who was she to question his judgment?Jeff Clabaugh, “WorldCom’s Betty Vinson Gets 5 Months in Jail,” Washington Business Journal, August 5, 2005, Albuquerque Bizjournals.com, http://albuquerque.bizjournals.com/washington/stories/2005/08/01/daily51.html (accessed April 24, 2006). Six months later, Ebbers and Sullivan needed another adjustment—this time for $771 million. This scheme was even more unethical than the first: It entailed forging dates to hide the adjustment. Pretty soon, Vinson was making adjustments on a quarterly basis—first for $560 million, then for $743 million, and yet again for $941 million. Eventually, Vinson had juggled almost $4 billion, and before long, the stress started to get to her: She had trouble sleeping, lost weight, looked terrible, and withdrew from people at work. But when she got a promotion and a $30,000 raise, she decided to hang in. By spring 2002, however, it was obvious that adjusting the books was business as usual at WorldCom. Vinson finally decided that it was time to move on, but, unfortunately, an internal auditor had already put two and two together and blown the whistle. The Securities and Exchange Commission charged WorldCom with fraud amounting to $11 billion—the largest in U.S. history. Seeing herself as a valuable witness, Vinson was eager to tell what she knew. The government, however, regarded her as more than a mere witness. When she was named a co-conspirator, she agreed to cooperate fully and pleaded guilty to criminal conspiracy and securities fraud. And that’s why Betty Vinson will spend five months in jail. But she won’t be the only one doing time: Scott Sullivan—who claims he’s innocent—will be in jail for five years, and Bernie Ebbers—who swears he’s innocent also—will be locked up for twenty-five years.Scott Reeves, “Lies, Damned Lies and Scott Sullivan,” Forbes.com, February 17, 2005, http://www.forbes.com/business/2005/02/17/cx_sr_0217ebbers.html (accessed April 24, 2006); David A. Andelman, “Scott Sullivan Gets Slap on the Wrist—WorldCom Rate Race,” Forbes.com, August 12, 2005, http://www.mindfully.org/Industry/2005/Sullivan-WorldCom-Rat12aug05.htm (accessed April 24, 2006). So where did Betty Vinson, mild-mannered midlevel executive and mother, go wrong? How did she manage to get involved in a scheme that not only bilked investors out of billions but also cost seventeen thousand people their jobs?Susan Pullman, “How Following Orders Can Harm Your Career,” Wall Street Journal, June 23, 2003, CareerJournal.com, http://www.careerjournal.com/myc/killers/20030630-pulliam.html (accessed April 24, 2006). Ultimately, of course, we can only guess. Maybe she couldn’t say no to her bosses; maybe she believed that they’d take full responsibility for her accounting “adjustments.” Possibly she was afraid of losing her job. Perhaps she didn’t fully understand the ramifications of what she was doing. What we do know is that she disgraced herself and headed for jail.“World-Class Scandal at WorldCom,” CBSNews.com, June 26, 2002, http://www.cbsnews.com/stories/2002/06/26/national/main513473.shtml (accessed April 24, 2006). Specify the steps that you would take to solve an ethical dilemma and make an ethical decision. Betty Vinson didn’t start out at WorldCom with the intention of going to jail. She undoubtedly knew what the right behavior was, but the bottom line is that she didn’t do it. How can you make sure that you do the right thing in the business world? How should you respond to the kinds of challenges that you’ll be facing? Because your actions in the business world will be strongly influenced by your moral character, let’s begin by assessing your current moral condition. Which of the following best applies to you (select one)? Now that you’ve placed yourself in one of these categories, here are some general observations. Few people put themselves below the second category. Most of us are ethical most of the time, and most people assign themselves to category number two—“I’m mostly ethical.” Why don’t more people claim that they’re always ethical? Apparently, most people realize that being ethical all the time takes a great deal of moral energy. If you placed yourself in category number two, ask yourself this question: How can I change my behavior so that I can move up a notch? The answer to this question may be simple. Just ask yourself an easier question: How would I like to be treated in a given situation?John C. Maxwell, There’s No Such Thing as “Business Ethics”: There’s Only One Rule for Making Decisions (New York: Warner Books, 2003), 19–21. Unfortunately, practicing this philosophy might be easier in your personal life than in the business world. Ethical challenges arise in business because business organizations, especially large ones, have multiple stakeholders and because stakeholders make conflicting demands. Making decisions that affect multiple stakeholders isn’t easy even for seasoned managers; and for new entrants to the business world, the task can be extremely daunting. Many managers need years of experience in an organization before they feel comfortable making decisions that affect various stakeholders. You can, however, get a head start in learning how to make ethical decisions by looking at two types of challenges that you’ll encounter in the business world: ethical dilemmas and ethical decisions. An ethical dilemmaMorally problematic situation. is a morally problematic situation: You have to pick between two or more acceptable but often opposing alternatives that are important to different groups. Experts often frame this type of situation as a “right-versus-right” decision. It’s the sort of decision that Johnson & Johnson (known as J&J) CEO James Burke had to make in 1982.See Tamara Kaplan, “The Tylenol Crisis: How Effective Public Relations Saved Johnson & Johnson,” http://www.personal.psu.edu/users/w/x/wxk116/tylenol/crisis.html (accessed April 24, 2006). On September 30, twelve-year-old Mary Kellerman of Chicago died after her parents gave her Extra-Strength Tylenol. That same morning, twenty-seven-year-old Adam Janus, also of Chicago, died after taking Tylenol for minor chest pain. That night, when family members came to console his parents, Adam’s brother and his wife took Tylenol from the same bottle and died within forty-eight hours. Over the next two weeks, four more people in Chicago died after taking Tylenol. The actual connection between Tylenol and the series of deaths wasn’t made until an off-duty fireman realized from news reports that every victim had taken Tylenol. As consumers panicked, J&J pulled Tylenol off Chicago-area retail shelves. Researchers discovered Tylenol capsules containing large amounts of deadly cyanide. Because the poisoned bottles came from batches originating at different J&J plants, investigators determined that the tampering had occurred after the product had been shipped. He could recall only the lots of Extra-Strength Tylenol that were found to be tainted with cyanide. This was the path followed by Perrier executives in 1991 when they discovered that cases of bottled water had been poisoned with benzine. This option favored J&J financially but possibly put more people at risk. Burke could order a nationwide recall—of all bottles of Extra-Strength Tylenol. This option would reverse the priority of the stakeholders, putting the safety of the public above stakeholders' financial interests. Burke opted to recall all 31 million bottles of Extra-Strength Tylenol on the market. The cost to J&J was $100 million, but public reaction was quite positive. Less than six weeks after the crisis began, Tylenol capsules were reintroduced in new tamper-resistant bottles, and by responding quickly and appropriately, J&J was eventually able to restore the Tylenol brand to its previous market position. When Burke was applauded for moral courage, he replied that he’d simply adhered to the long-standing J&J credo that put the interests of customers above those of other stakeholders. His only regret was that the tamperer was never caught.Yaakov Weber, “CEO Saves Company’s Reputation, Products,” New Sunday Times, June 13, 1999, http://adtimes.nstp.com.my/jobstory/jun13.htm (accessed April 24, 2006). If you’re wondering what your thought process should be if you’re confronted with an ethical dilemma, you could do worse than remember the mental steps listed in Figure 2.3 "How to Face an Ethical Dilemma"—which happen to be the steps that James Burke took in addressing the Tylenol crisis. In contrast to the “right-versus-right” problem posed by an ethical dilemma, an ethical decisionDecision in which there is a right (ethical) choice and a wrong (unethical or illegal) choice. entails a “right-versus-wrong” decision—one in which there is a right (ethical) choice and a wrong (unethical or illegal) choice. When you make a decision that’s unmistakably unethical or illegal, you’ve committed an ethical lapseSituation in which an individual makes a decision that’s unmistakably unethical or illegal.. Betty Vinson, for example, had an ethical lapse when she caved in to her bosses’ pressure to cook the WorldCom books. If you’re presented with what appears to be this type of choice, asking yourself the questions in Figure 2.4 "How to Avoid an Ethical Lapse" will increase your odds of making an ethical decision. Her actions were clearly illegal. They were unfair to the workers who lost their jobs and to the investors who suffered financial losses (and also to her family, who shared her public embarrassment). She definitely felt bad about what she’d done. She was embarrassed to tell other people what she had done. Reports of her actions appeared in her local newspaper (and just about every other newspaper in the country). So Vinson could have answered our five test questions with five yeses. To simplify matters, remember the following rule of thumb: If you answer yes to any one of these five questions, odds are that you’re about to do something you shouldn’t. Like our five questions, some ethical problems are fairly straightforward. Others, unfortunately, are more complicated, but it will help to think of our five-question test as a set of signals that will warn you that you’re facing a particularly tough decision—that you should think carefully about it and perhaps consult someone else. The situation is like approaching a traffic light. Red and green lights are easy; you know what they mean and exactly what to do. Yellow lights are trickier. Before you decide which pedal to hit, try posing our five questions. If you get a single yes, you’ll be much better off hitting the brake.Online Ethics Center for Engineering and Science, “Advice from the Texas Instruments Ethics Office: What Do You Do When the Light Turns Yellow?” Onlineethics.org, http://onlineethics.org/corp/help.html#yellow (accessed April 24, 2006). Businesspeople face two types of ethical challenges: ethical dilemmas and ethical decisions. An ethical dilemma is a morally problematic situation in which you must choose between two or more alternatives that aren’t equally acceptable to different groups. 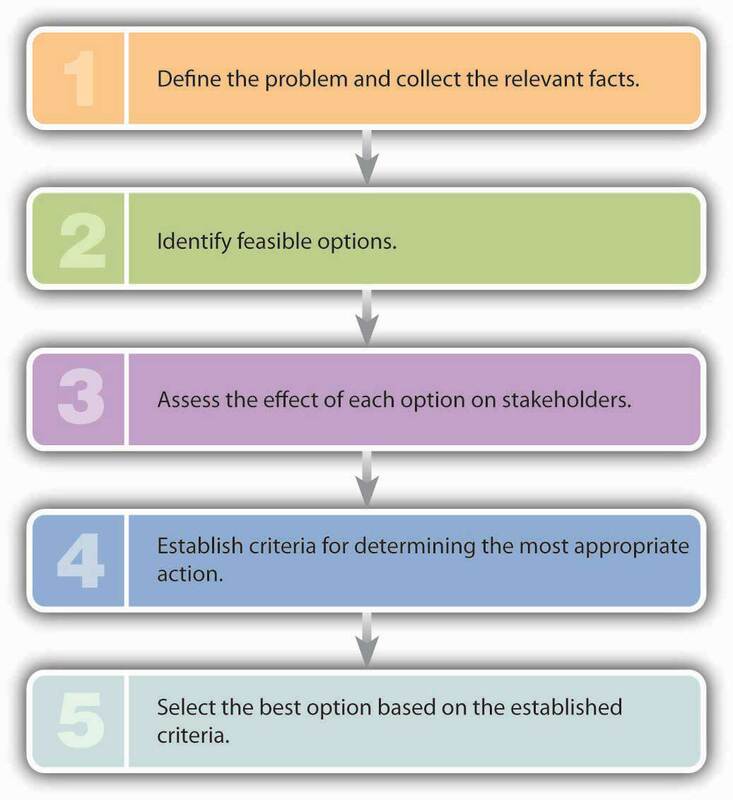 Assess the effect of each option on stakeholders (owners, employees, customers, communities). Establish criteria for determining the most appropriate option. Select the best option, based on the established criteria. An ethical decision entails a “right-versus-wrong” decision—one in which there’s a right (ethical) choice and a wrong (unethical or downright illegal) choice. When you make a decision that’s unmistakably unethical or illegal, you’ve committed an ethical lapse. Is it unfair to some parties? If I take it, will I feel bad about it? Will I be ashamed to tell my family, friends, coworkers, or boss about my action? Would I want my decision written up in the local newspaper? If you answer yes to any one of these five questions, you’re probably about to do something that you shouldn’t. Explain the difference between an ethical dilemma and an ethical decision, then provide an example of each. Describe an ethical lapse and provide an example. Is it okay to accept a pair of sports tickets from a supplier? It’s not uncommon in business to give and receive small gifts of appreciation. But when is a gift unacceptable? When is it really a bribe? If it’s okay to give a bottle of wine to a corporate client during the holidays, is it okay to give a case of wine? If your company is trying to get a big contract, is it appropriate to send a gift to the key decision maker? If it’s all right to invite a business acquaintance to dinner or to a ball game, is it also all right to offer the same person a fully paid weekend getaway? J.C. Penney’s “Statement of Business Ethics,” for instance, states that employees can’t accept any cash gifts or any noncash gifts except those that have a value below $50 and that are generally used by the giver for promotional purposes. Employees can attend paid-for business functions, but other forms of entertainment, such as sports events and golf outings, can be accepted only if it’s practical for the Penney’s employee to reciprocate. Trips of several days can’t be accepted under any circumstances.J.C. Penney Co., “Statement of Business Ethics for Associates and Officers: The ‘Spirit’ of This Statement,” http://ir.jcpenney.com/phoenix.zhtml?c=70528&p=irol-govconduct (accessed April 24, 2006). Conflicts of interestSituation in which an individual must choose between the promotion of personal interests and the interests of others. occur when individuals must choose between taking actions that promote their personal interests over the interests of others or taking actions that don’t. A conflict can exist, for example, when an employee’s own interests interfere with, or have the potential to interfere with, the best interests of the company’s stakeholders (management, customers, owners). Let’s say that you work for a company with a contract to cater events at your college and that your uncle owns a local bakery. Obviously, this situation could create a conflict of interest (or at least give the appearance of one—which, by the way, is a problem in itself). When you’re called on to furnish desserts for a luncheon, you might be tempted to throw some business your uncle’s way even if it’s not in the best interest of the catering company that you work for. The same principle holds that an employee shouldn’t use private information about an employer for personal financial benefit. Say that you learn from a coworker at your pharmaceutical company that one of its most profitable drugs will be pulled off the market because of dangerous side effects. The recall will severely hurt the company’s financial performance and cause its stock price to plummet. Before the news becomes public, you sell all the stock you own in the company. What you’ve done isn’t merely unethical: It’s called insider tradingPractice of buying or selling of securities using important information about the company before it’s made public., it’s illegal, and you could go to jail for it. “I cannot tell you that honesty is the best policy. I can’t tell you that if you behave with perfect honesty and integrity somebody somewhere won’t behave the other way and make more money. But honesty is a good policy. You’ll do fine, you’ll sleep well at night and you’ll feel good about the example you are setting for your coworkers and the other people who care about you.”Quoted by Adrian Gostick and Dana Telford, The Integrity Advantage (Salt Lake City: Gibbs Smith, 2003), 103. “A chef put two frogs in a pot of warm soup water. The first frog smelled the onions, recognized the danger, and immediately jumped out. The second frog hesitated: The water felt good, and he decided to stay and relax for a minute. After all, he could always jump out when things got too hot (so to speak). As the water got hotter, however, the frog adapted to it, hardly noticing the change. Before long, of course, he was the main ingredient in frog-leg soup.”Adapted from Adrian Gostick and Dana Telford, The Integrity Advantage (Salt Lake City: Gibbs Smith, 2003), 16. Fortunately, a few rules of thumb can guide you. We’ve summed them up in Figure 2.5 "How to Maintain Honesty and Integrity". As we’ve seen, the misdeeds of Betty Vinson and her accomplices at WorldCom didn’t go undetected. 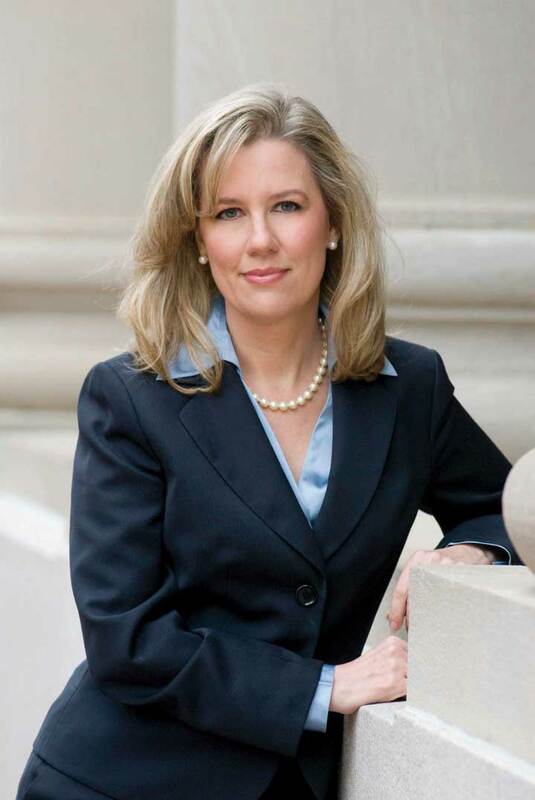 They caught the eye of Cynthia Cooper, the company’s director of internal auditing. Cooper, of course, could have looked the other way, but instead she summoned up the courage to be a whistle-blowerIndividual who exposes illegal or unethical behavior in an organization.—an individual who exposes illegal or unethical behavior in an organization. Like Vinson, Cooper had majored in accounting at Mississippi State and was a hard-working, dedicated employee. Unlike Vinson, however, she refused to be bullied by her boss, CFO Scott Sullivan. In fact, she had tried to tell not only Sullivan but also auditors from the huge Arthur Andersen accounting firm that there was a problem with WorldCom’s books. The auditors dismissed her warnings, and when Sullivan angrily told her to drop the matter, she started cleaning out her office. But she didn’t relent. She and her team worked late each night, conducting an extensive, secret investigation. Two months later, Cooper had evidence to take to Sullivan, who told her once again to back off. Again, however, she stood up to him, and though she regretted the consequences for her WorldCom coworkers, she reported the scheme to the company’s board of directors. Within days, Sullivan was fired and the largest accounting fraud in history became public. As a result of Cooper’s actions, executives came clean about the company’s financial situation. The conspiracy of fraud was brought to an end, and though public disclosure of WorldCom’s problems resulted in massive stock-price declines and employee layoffs, investor and employee losses would have been greater without Cooper’s intervention. Even though Cooper did the right thing, the experience wasn’t exactly gratifying. A lot of people applauded her action, but many coworkers shunned her; some even blamed her for the company’s troubles. She’s never been thanked by any senior executive at WorldCom. Five months after the fraud went public, new CEO Michael Capellas assembled what was left of the demoralized workforce to give them a pep talk on the company’s future. The senior management team mounted the stage and led the audience in a rousing rendition of “If you’re happy and you know it, clap your hands!” Cynthia Cooper wasn’t invited.See Adrian Gostick and Dana Telford, The Integrity Advantage (Salt Lake City: Gibbs Smith, 2003), 13. Whistle-blowing often means career suicide. 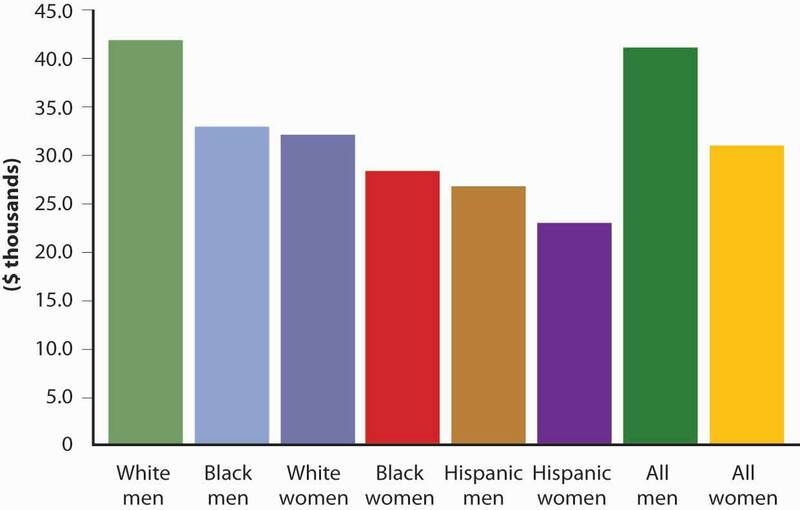 A survey of two hundred whistle-blowers conducted by the National Whistleblower Center found that half of them had been fired for blowing the whistle.National Whistleblower Center, “Labor Day Report: The National Status of Whistleblower Protection on Labor Day, 2002,” http://www.whistleblowers.org/labordayreport.htm (accessed April 24, 2006). Even those who get to keep their jobs experience painful repercussions. As long as they stay, some people will treat them (as one whistle-blower puts it) “like skunks at a picnic”; if they leave, they’re frequently blackballed in the industry.Paula Dwyer et al., “Year of the Whistleblower,” BusinessWeek Online, December 16, 2002, http://www.businessweek.com/magazine/content/02_50/b3812094.htm (accessed April 24, 2006). On a positive note, there’s the 2002 Sarbanes-Oxley Act, which protects whistle-blowers under federal law. For her own part, Cynthia Cooper doesn’t regret what she did. As she told a group of students at Mississippi State: “Strive to be persons of honor and integrity. Do not allow yourself to be pressured. Do what you know is right even if there may be a price to be paid.”Scott Waller, “Whistleblower Tells Students to Have Personal Integrity,” The (Jackson, MS) Clarion-Ledger, November 18, 2003, http://www.clarionledger.com/news/0311/18/b01.html (accessed April 24, 2006). If your company tells employees to do whatever it takes, push the envelope, look the other way, and “be sure that we make our numbers,” you have three choices: go along with the policy, try to change things, or leave. If your personal integrity is part of the equation, you’re probably down to the last two choices.Adrian Gostick and Dana Telford, The Integrity Advantage (Salt Lake City: Gibbs Smith, 2003), 98–99. Despite all the good arguments in favor of doing the right thing, why do many reasonable people act unethically (at least at times)? Why do good people make bad choices? According to one study, there are four common rationalizations for justifying misconduct:Saul W. Gellerman, “Why ‘Good’ Managers Make Bad Ethical Choices,” Harvard Business Review on Corporate Ethics (Boston: Harvard Business School Press, 2003), 59. My behavior isn’t really illegal or immoral. Rationalizers try to convince themselves that an action is okay if it isn’t downright illegal or blatantly immoral. They tend to operate in a gray area where there’s no clear evidence that the action is wrong. My action is in everyone’s best interests. Some rationalizers tell themselves: “I know I lied to make the deal, but it’ll bring in a lot of business and pay a lot of bills.” They convince themselves that they’re expected to act in a certain way, forgetting the classic parental parable about jumping off a cliff just because your friends are.Adrian Gostick and Dana Telford, The Integrity Advantage (Salt Lake City: Gibbs Smith, 2003), 12. No one will find out what I’ve done. Here, the self-questioning comes down to: “If I didn’t get caught, did I really do it?” The answer is yes. There’s a simple way to avoid succumbing to this rationalization: Always act as if you’re being watched. The company will condone my action and protect me. This justification rests on a fallacy. Betty Vinson may honestly have believed that her actions were for the good of the company and that her boss would, therefore, accept full responsibility (as he promised). When she goes to jail, however, she’ll go on her own. Here’s another rule of thumb: If you find yourself having to rationalize a decision, it’s probably a bad one. Over time, you’ll develop and hone your ethical decision-making skills. When you enter the business world, you’ll find yourself in situations in which you’ll have to choose the appropriate behavior. You’ll need to know how to distinguish a bribe from an acceptable gift. You’ll encounter situations that give rise to a conflict of interest—situations in which you’ll have to choose between taking action that promotes your personal interest and action that favors the interest of others. Sometimes you’ll be required to choose between loyalty to your employer and loyalty to a friend or family member. In business, as in all aspects of your life, you should act with honesty and integrity. At some point in your career, you might become aware of wrongdoing on the part of others and will have to decide whether to report the incident and become a whistle-blower—an individual who exposes illegal or unethical behavior in an organization. The behavior isn’t really illegal or immoral. The action is in everyone’s best interests. No one will find out what I’ve done. The company will condone my action and protect me. What wrongdoing did the whistle-blower expose? What happened to her when she blew the whistle? Did she experience retaliation? Did she do the right thing? Would you have blown the whistle? Why or why not? You own a tax-preparation company with ten employees who prepare tax returns. In walking around the office, you notice that several of your employees spend a lot of time making personal use of their computers, checking personal e-mails, or shopping online. After doing an Internet search on employer computer monitoring, respond to these questions: Is it unethical for your employees to use their work computers for personal activities? Is it ethical for you to monitor computer usage? 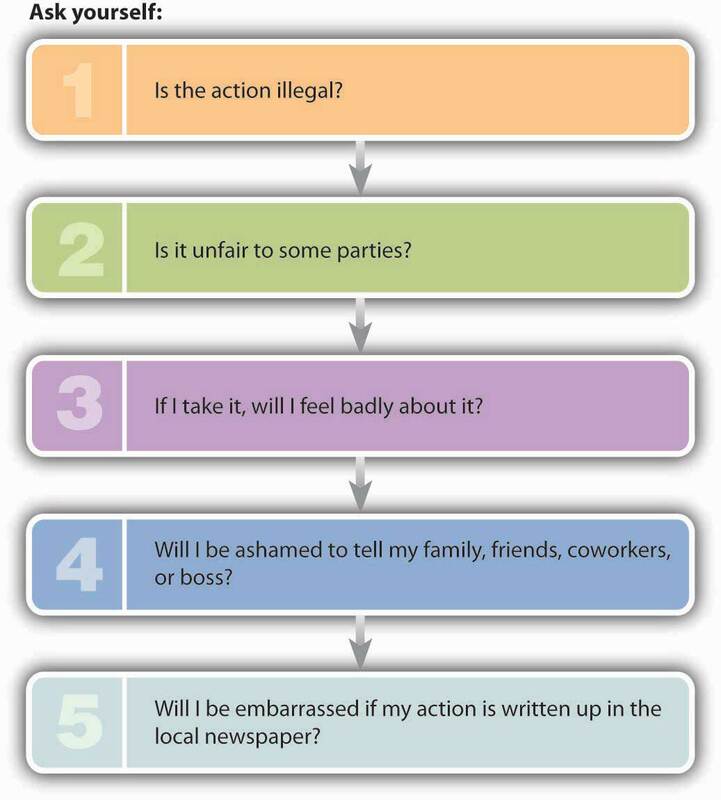 Do you have a legal right to do it? If you decide to monitor computer usage in the future, what rules would you make, and how would you enforce them? Before its sudden demise, Enron fostered a growth-at-any-cost culture that was defined by the company’s top executives. Said one employee: “It was all about taking profits now and worrying about the details later. The Enron system was just ripe for corruption.” Coupled with the relentless pressure to generate revenue—or at least to look as if you were generating it—was a climate that discouraged employees from questioning the means by which they were supposed to do it. There may have been chances for people to speak up, but no one did. “I don’t think anyone started out with a plan to defraud the company,” reflects another ex-employee. “Everything at Enron seemed to start out right, but somewhere something slipped. People’s mentality switched from focusing on the future good of the company to ‘let’s just do it today.’”See especially Tom Fowler, “The Pride and the Fall of Enron,” Houston Chronicle, October 20, 2002, http://www.chron.com/cs/CDA/story.hts/special/enron/1624822 (accessed April 24, 2006). This is exactly the message that senior management at Martin Marietta (now a part of Lockheed Martin) sent to members of their organization. A leading producer of construction components, the company at the time was engaged in a tough competitive battle over a major contract. Because both Martin Marietta and its main competitor were qualified to do the work, the job would go to the lower bid. A few days before bids were due, a package arrived at Martin Marietta containing a copy of the competitor’s bid sheet (probably from a disgruntled employee trying to sabotage his or her employer’s efforts). The bid price was lower than Martin Marietta’s. In a display of ethical backbone, executives immediately turned the envelope over to the government and informed the competitor. No, they didn’t change their own bid in the meantime, and, no, they didn’t get the job. All they got was an opportunity to send a clear message to the entire organization.Episode recounted by Norm Augustine, “Business Ethics in the 21st Century” (speech, Ethics Resource Center), http://www.ethics.org/resources/speech_detail.cfm?ID=848 (accessed April 24, 2006). By the same token, leaders must be willing to hold subordinates accountable for their conduct and to take appropriate action. The response to unethical behavior should be prompt and decisive. One CEO of a large company discovered that some of his employees were “Dumpster-diving” in the trash outside a competitor’s offices (which is to say, they were sifting around for information that would give them a competitive advantage). The manager running the espionage operation was a personal friend of the CEO’s, but he was immediately fired, as were his “operatives.” The CEO then informed his competitor about the venture and returned all the materials that had been gathered. Like the top managers at Martin Marietta, this executive sent a clear message to people in his organization: namely, that deviations from accepted behavior would not be tolerated.Norm Augustine, “Business Ethics in the 21st Century” (speech, Ethics Resource Center), http://www.ethics.org/resources/speech_detail.cfm?ID=848 (accessed April 24, 2006). It’s always possible to send the wrong message. In August 2004, newspapers around the country carried a wire-service story titled “Convicted CEO Getting $2.5 Million Salary While He Serves Time.” Interested readers found that the board of directors of Fog Cutter Capital Group had agreed to pay CEO Andrew Wiederhorn (and give him a bonus) while he served an eighteen-month federal-prison term for bribery, filing false tax returns, and financially ruining his previous employer (from which he’d also borrowed $160 million). According to the board, they couldn’t afford to lose a man of Wiederhorn’s ability. The entire episode ended up on TheStreet.com’s list of “The Five Dumbest Things on Wall Street This Week.”William McCall, “CEO Will Get Salary, Bonus in Prison,” CorpWatch, http://www.corpwatch.org/print_article.php?&id=11476 (accessed April 24, 2006). Like many firms, Hershey Foods now has a formal code of conductStatement that defines the principles and guidelines that employees must follow in the course of all job-related activities. : a document describing the principles and guidelines that all employees must follow in the course of all job-related activities. It’s available on the company intranet and in printed form and, to be sure that everyone understands it, the company offers a training program. The Hershey code covers such topics as the use of corporate funds and resources, conflict of interest, and the protection of proprietary information. It explains how the code will be enforced, emphasizing that violations won’t be tolerated. It encourages employees to report wrongdoing and provides instructions on reporting violations (which are displayed on posters and printed on wallet-size cards). Reports can be made though a Concern Line, by e-mail, or by regular mail; they can be anonymous; and retaliation is also a serious violation of company policy.Hershey Foods, “Code of Ethical Business Conduct,” http://www.thehersheycompany.com/about/conduct.asp (accessed April 24, 2006). You’re the CEO of a company that sells golf equipment, including clubs, bags, and balls. When your company was started and had only a handful of employees, you were personally able to oversee the conduct of your employees. But with your current workforce of nearly fifty, it’s time to prepare a formal code of conduct in which you lay down some rules that employees must follow in performing job-related activities. As a model for your own code, you’ve decided to use Johnson & Johnson’s Policy on Business Conduct. Go to the company’s Web site (http://www.jnj.com/wps/wcm/connect/fe406b80496f217d8a98fb03eabf3a7e/Policy-on-Business-Conduct.pdf?MOD=AJPERES&useDefaultText=1&useDefaultDesc=1) to view its posted code of conduct. 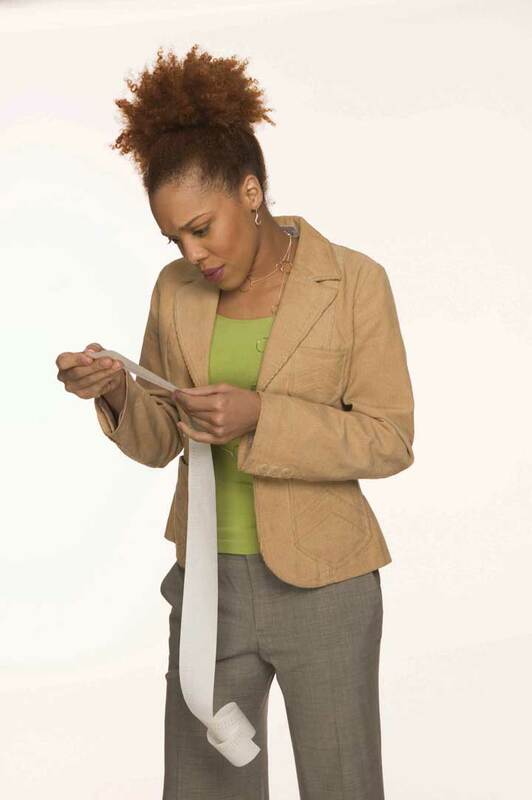 Your document won’t be as thorough as J&J’s, but it will cover the following areas: (1) conflicts of interest; (2) acceptance of gifts, services, or entertainment; and (3) use of company funds or assets for personal purposes. 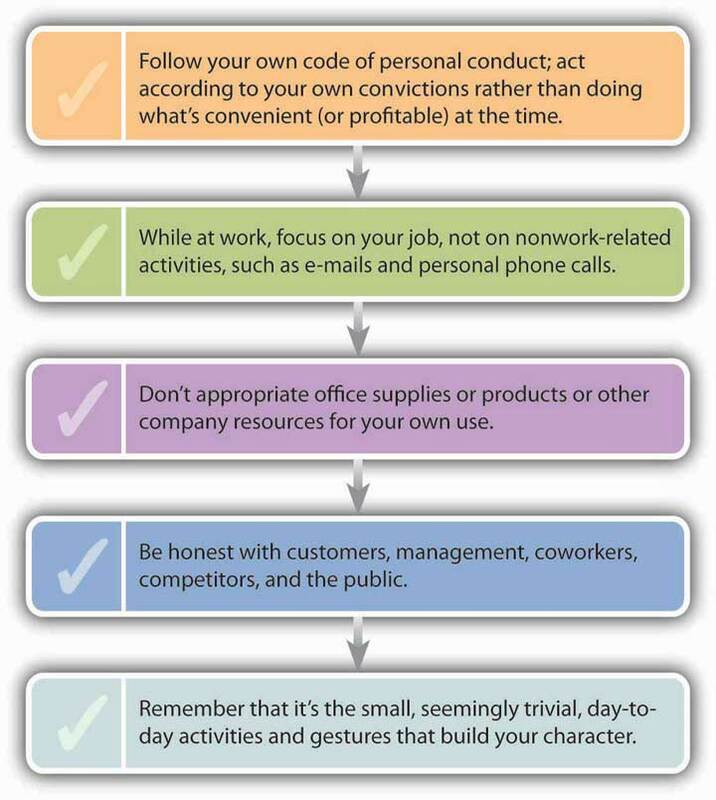 Draw up a code of conduct for your company. Identify threats to the natural environment and explain how businesses are addressing them. Today, virtually everyone agrees that companies must figure out how to produce products without compromising the right of future generations to meet their own needs. Clearly, protecting natural resources is the right thing to do, but it also has become a business necessity. Companies’ customers demand that they respect the environment. Let’s identify some key environmental issues and highlight the ways in which the business community has addressed them. The land we live on has been polluted by the dumping of waste and increasing reliance on agricultural chemicals. It’s pockmarked by landfills stuffed with the excess of a throwaway society. It’s been strip-mined and deforested, and urban sprawl on every continent has squeezed out wetlands and farmlands and destroyed wildlife habitats. Protecting the land from further damage, then, means disposing of waste in responsible ways (or, better yet, reducing the amount of waste). At both national and global levels, we must resolve the conflicts of interest between those who benefit economically from logging and mining and those who argue that protecting the environment is an urgent matter. Probably municipalities must step in to save open spaces and wetlands. Did you know your cozy fleece jacket is most likely made from recycled plastic bottles? Clothing manufacturer Patagonia has for years been in the forefront of efforts to protect the land. Each year, the company pledges either 1 percent of sales revenue or 10 percent of profits (whichever is larger) to protect and restore the natural environment. According to its “Statement of Purpose,” “Patagonia exists as a business to inspire and implement solutions to the environmental crisis.” Instead of traditional materials for making clothes (such as regular cotton and fleece), Patagonia relies on organically grown cotton, which is more expensive, because it doesn’t requires harmful chemicals. Its fleece products are made with postconsumer recycled (PCR) fleece, which is actually made with recycled plastic bottles. 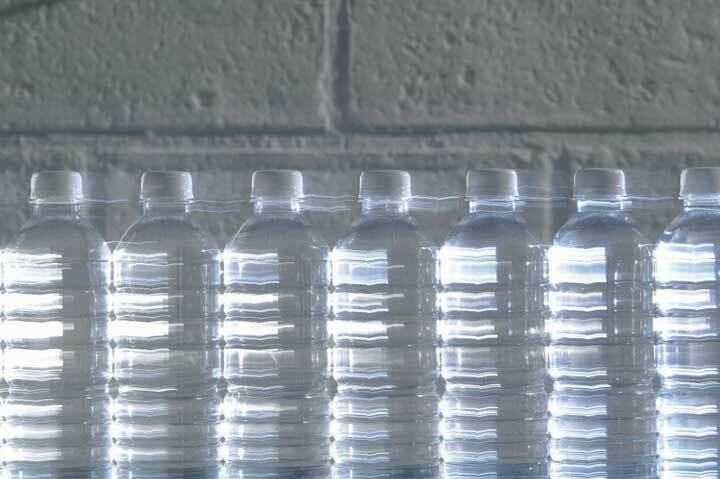 So far, the company’s efforts to build a more sustainable system has saved 86 million plastic bottles from ending up in landfills.Patagonia, “Environmental Action,” http://www.patagonia.com/enviro/main_enviro_action.shtml (accessed April 24, 2006). It’s amazing what we can do to something as large as the atmosphere. Over time, we’ve managed to pollute the air with emissions of toxic gases and particles from factories, power plants, office buildings, cars, trucks, and even farms. In addition, our preferred method of deforestation is burning, a major source of air pollution. In some places, polluted air causes respiratory problems, particularly for the young and elderly. Factory emissions, including sulfur and other gases, mix with air and rain to produce acid rain, which returns to the earth to pollute forests, lakes, and streams. Perhaps most importantly, many experts—scientists, government officials, and businesspeople—are convinced that the heavy emission of carbon dioxide is altering the earth’s climate. Predictions of the effect of unchecked global warming include extreme weather conditions, flooding, oceanic disruptions, shifting storm patterns, droughts, reduced farm output, and even animal extinctions.John Carey, “Global Warming,” Business Week, August 16, 2004, 64. Curbing global warming will require international cooperation. More than 120 nations (though not the United States) have stated their support for this initiative by endorsing the Kyoto Protocol, an agreement to slow global warming by reducing worldwide carbon-dioxide emissions. What can business do? They can reduce greenhouse emissions by making vehicles, factories, and other facilities more energy efficient. In response to a government ban on chlorofluorocarbons, which damage the ozone layer, DuPont has cut its own greenhouse emissions by 65 percent over the last fifteen years through improvements in manufacturing processes and a commitment to increased energy efficiency.John Carey, “Global Warming,” Business Week, August 16, 2004, 60. Several U.S. and Japanese car manufacturers now market hybrid gas-electric cars, and General Motors is working on a plug-in electric vehicle. General Electric is designing more energy-efficient appliances and investing heavily to research wind power.John Carey, “Global Warming,” Business Week, August 16, 2004, 64. Water makes up more than 70 percent of the earth’s surface, and it’s no secret that without it we wouldn’t be here. Unfortunately, that knowledge doesn’t stop us from polluting our oceans, rivers, and lakes and generally making our water unfit for use. Massive pollution occurs when such substances as oil and chemicals are dumped into bodies of water. The damage to the water, to the marine ecosystem, and to coastal wildlife from the accidental spilling of oil from supertankers and offshore drilling operations can be disastrous, and the cleanup can cost billions. 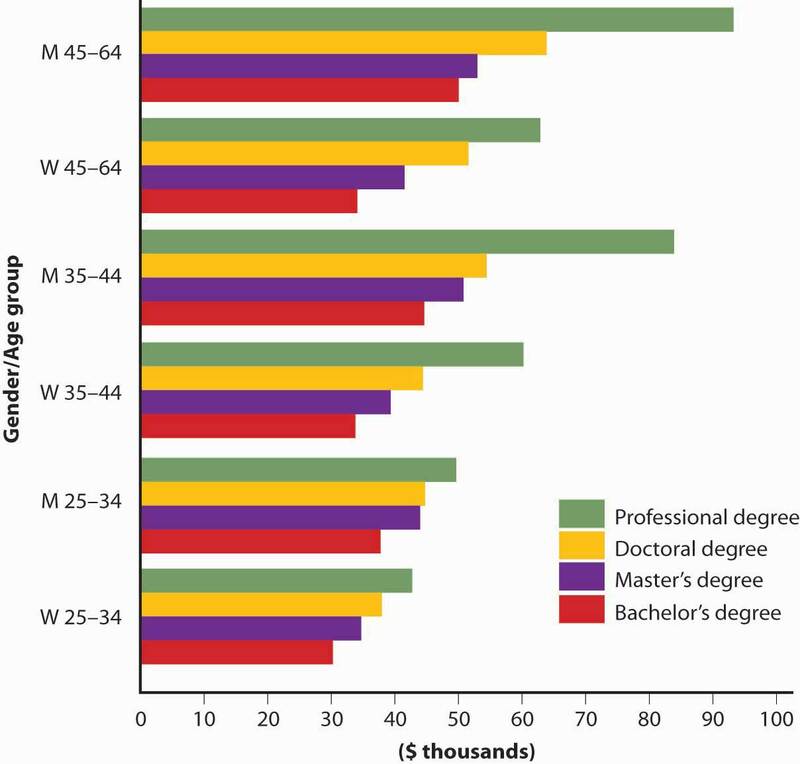 Most contaminants, however, come from agricultural fertilizers, pesticides, wastewater, raw sewage, and silt that make their way into water systems over time.David Krantz and Brad Kifferstein, “Water Pollution and Society,” University of Michigan,http://www.umich.edu/~gs265/society/waterpollution.htm (accessed April 24, 2006). In some parts of the world—including certain areas in this country—water supplies are dwindling, partly because of diminishing rainfall and partly because of increased consumption. The Environmental Protection Agency (EPA) has been a major force in cleaning up U.S. waters. Companies are now held to stricter standards in the discharge of wastes into water treatment systems. In some places, particularly where water supplies are dangerously low, such as the Southwest, local governments have instituted conservation programs. In Arizona (which suffers a severe shortage), Home Depot works with governmental and nongovernmental agencies on a $1.8 million water-conservation campaign. From its forty stores, the company runs weekend workshops to educate consumers on conservation basics, including drought-resistant gardening techniques.Philip Kotler and Nancy Lee, “Best of Breed,” Stanford Social Innovation Review, Spring 2004, 20. Companies bear a responsibility to produce products without compromising the right of future generations to meet their needs. Customers demand that companies respect the environment. Our land, air, and water all face environmental threats. Land is polluted by the dumping of waste and an increasing reliance on agricultural chemicals. It’s pockmarked by landfills, shredded by strip mining, and laid bare by deforestation. Urban sprawl has squeezed out wetlands and farmlands and destroyed wildlife habitats. To protect the land from further damage, we must dispose of waste in responsible ways, control strip mining and logging, and save open spaces and wetlands. Emissions of toxic gases and particles from factories, power plants, office buildings, cars, trucks, and even farms pollute the air, which is also harmed by the burning associated with deforestation. Many experts believe that the heavy emission of carbon dioxide by factories and vehicles is altering the earth’s climate: carbon dioxide and other gases, they argue, act as a “greenhouse” over the earth, producing global warming—a heating of the earth that could have dire consequences. Many companies have taken actions to reduce air pollution. Water is polluted by such substances as oil and chemicals. 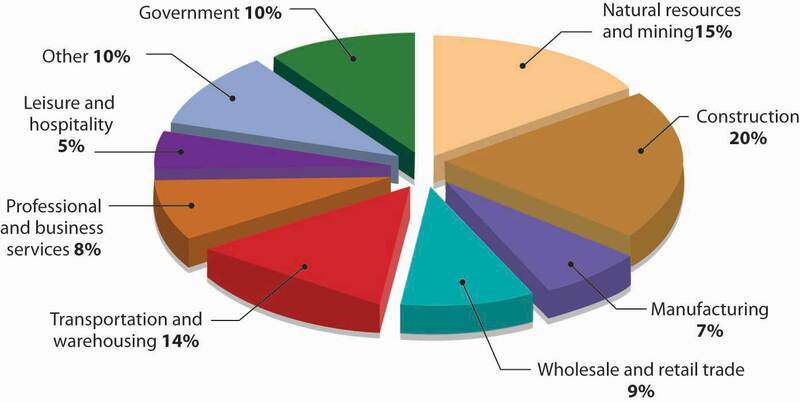 Most of the contaminants come from agricultural fertilizers, pesticides, wastewater, raw sewage, and silt. Also of concern is the dwindling supply of water in some parts of the world brought about by diminishing rainfall and increased consumption. The Environmental Protection Agency has been a major force in cleaning up U.S. waters. Many companies have joined with governmental and nongovernmental agencies alike in efforts to help people protect and conserve water. Based on the information provided in the Condé Nast article and on your selected company’s Web site, how would you rate the company’s environmental initiatives? Do the statements on the company’s Web site mesh with the criticism voiced by Condé Nast? In your opinion, does the company deserve to be on Condé Nast’s “Toxic 10” list. Why, or why not? Why does the company promote its environmental efforts? Is this promotion effective? List the stages of corporate responsibility. 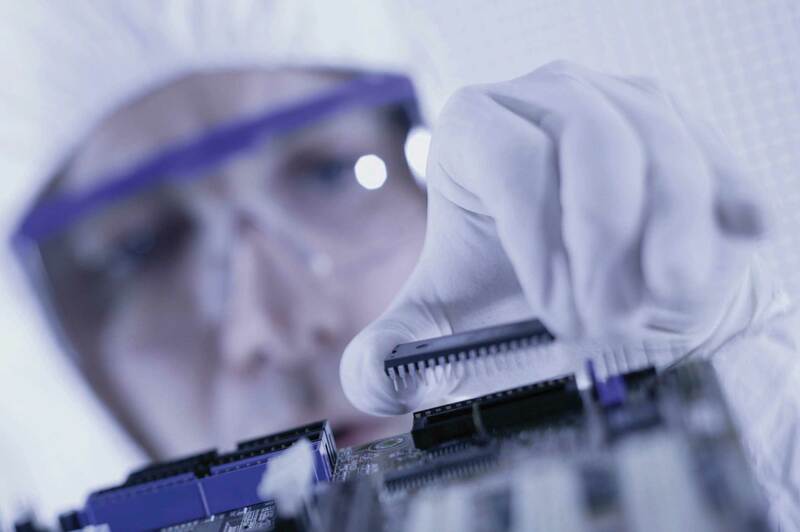 We expect companies to recognize issues of social importance and to address them responsibly. The companies that do this earn reputations as good corporate citizens and enjoy certain benefits, such as the ability to keep satisfied customers, to attract capital, and to recruit and retain talented employees. But companies don’t become good corporate citizens overnight. Learning to identify and develop the capacity to address social concerns takes time and requires commitment. The task is arduous because so many different issues are important to so many different members of the public—issues ranging from the environment, to worker well-being (both at home and abroad), to fairness to customers, to respect for the community in which a company operates. Faced with public criticism of a particular practice, how does a company respond? What actions does it take to demonstrate a higher level of corporate responsibility? According to Harvard University’s Simon Zadek, exercising greater corporate responsibility generally means going through the series of five different stances summarized in Figure 2.14 "Stages of Corporate Responsibility".Simon Zadek, “The Path to Corporate Responsibility,” Harvard Business Review, December 2004, 1–9. Defensive. When companies are first criticized over some problem or issue, they tend to take a defensive, often legalistic stance. They reject allegations of wrongdoing and refuse to take responsibility, arguing that fixing the problem or addressing the issue isn’t their job. Compliant. During this stage, companies adopt policies that acknowledge the wishes of the public. As a rule, however, they do only what they have to do to satisfy their critics, and little more. They’re acting mainly to protect brands or reputations and to reduce the risk of litigation. Managerial. When it becomes clear that the problem won’t go away, companies admit that they need to take responsibility and action, so they look for practical long-term solutions. Strategic. At this point, they may start to reap the benefits of acting responsibly. They often find that responding to public needs gives them a competitive edge and enhances long-term success. Civil. Ultimately, many companies recognize the importance of getting other companies to follow their lead. They may promote participation by other firms in their industries, endorsing the principle that the public is best served through collective action. Here’s Your Salad—How About Fries? A few years ago, McDonald’s found itself in a public relations nightmare. The fast-food giant faced massive public criticism for serving unhealthy food that contributed to a national epidemic of obesity. Let’s look at McDonald’s responses to these criticisms and assess how far along the five-stage process the company has progressed. As the documentary film SuperSize Me demonstrated, a steady diet of McDonald’s burgers and fries will cause you to gain weight. It was certainly inevitable that one day the public would make a connection between the rising level of obesity in the United States and a diet heavy in fat-laden fast foods. McDonald’s fast food/obesity link got a lot of attention in 2002 when obese adults and teenagers filed suits against the company, claiming it was responsible for their excess pounds. McDonald’s reaction to the public outcry against the company’s menu items was defensive. For example, an owner of seven McDonald’s in midtown Manhattan said, “We offer healthy choices. It is up to individuals to set limits and to be informed.… McDonald’s discloses nutritional information about its foods in its restaurants.”Chris Burritt, “McDonald’s Shrugs Off Obesity Case,” Sina.com, January 27, 2005, http://english.sina.com/business/1/2005/0127/19504.html (accessed April 30, 2006). In early 2004, the public’s attention was drawn to McDonald’s “super-size” options. Despite the fact that a super-sized meal delivered more than fifteen hundred calories, one in ten customers went for the upgrade. McDonald’s faced daily criticisms on its super-sizing campaign, from nutritionists, doctors, advocacy groups, and lawyers who held it up as a “grossly overweight” poster child for U.S. obesity concerns. And the company feared public criticism would escalate when the movie SuperSize Me hit the theaters. The documentary tells the story of a young man who gained twenty-four pounds and wrecked his health by eating only McDonald’s food for a month. Even worse, one scene shows him getting sick in his car after trying to wolf down a super-size meal. So McDonald’s immediately moved from the defensive stage to the compliant stage and announced that it was eliminating its super-size option by the end of 2004. The move, though small, was in the right direction. It was touted by the company as a “menu simplification” process, but a spokesman did state, “It certainly is consistent with and on a parallel path with our ongoing commitment to a balanced lifestyle.”Bruce Horovitz, “By Year’s End, Regular Size Will Have to Do,” USA Today, March 4, 2004, http://www.usatoday.com/money/industries/food/2004-03-02-mcdonalds-supersize_x.htm (accessed April 30, 2006). Criticism of McDonald’s continued as customers stayed away and its profits plummeted. The company searched for ways to win back customers and keep them long-term. To do this, it would have to come up with a healthier menu. Though McDonald’s had served salads for years, they weren’t very good. The company got serious about salads and introduced new, improved “premium salads,” complete with Newman’s Own salad dressing (a nice public relations touch, as all profits on the salad dressings are donated to charities). The company also improved the Happy Meal by letting kids substitute apple slices and low-fat milk for the usual fries and soda. Oprah Winfrey’s personal trainer was brought in to promote an adult version of the Happy Meal, called the GoActive meal, which includes a salad, a bottle of water, a book on nutrition, and a clip-on pedometer that measures the number of steps you take. The fat calories in Chicken McNuggets were lowered by coming out with all-white-meat McNuggets. And to appease those between-meal munchies, the company added a fruit-and-walnut salad to its menu. McDonald’s goal was to convince customers that it had turned a corner and would forever more offer healthy choices to both adults and children. The new focus on healthy choices worked, and customers started returning. McDonald’s salads were well received and accounted for about 10 percent of sales. Overall, things improved financially for the company: Sales increased and profits rose. To complete the transition to a healthier image, McDonald’s came up with a new theme: helping adults and children live a balanced, active lifestyle. To go along with the theme, it launched a new active-life public-awareness campaign with the tagline “It’s what I eat and what I do….I’m lovin’ it.” McDonald’s demonstrated its concern for the health of its customers through permanent menu changes and an emphasis on the value of physical fitness. Even Ronald McDonald, the company’s mascot, helped out by shooting hoops with NBA basketball star Yao Ming. The company launched a program called GoActive to help people find fun ways to build physical activity and fitness into their daily lives. McDonald’s hasn’t advanced to the final stage yet; it hasn’t enlisted the cooperation of other fast-food companies in encouraging children and adults to eat healthier foods. It’s difficult to predict whether it will assume this role in the future, or even whether the company will stick with its healthier lifestyle theme. Indeed, it’s hard to reconcile McDonald’s commitment to helping people eat healthier with a recent promotion in the Chicago area that gave a free forty-two-ounce “super-size” soda to anyone buying a Big Mac and fries. Given that a Big Mac and medium fries deliver 910 calories, it’s hard to justify encouraging customers to pile on an additional 410 calories for a big drink (at least, it’s hard to justify this if you’re promoting yourself as a company helping people eat better).Eric Herman, “McDonald’s Giant Drinks Return,” Chicago Sun-Times, June 17, 2005, http://www.freerepublic.com/focus/f-news/1424786/posts (accessed April 30, 2006). Defensive. When first criticized over some problem, companies take a defensive stance. They reject allegations of wrongdoing and refuse to take responsibility. Compliant. During this stage, companies do only what they have to do to satisfy their critics, protect brands or reputations, and reduce the risk of litigation. Managerial. When it’s clear that the problem won’t go away, companies take responsibility and look for long-term solutions. Strategic. At this point, they may start to reap the benefits of acting responsibly. Responding to public needs gives them a competitive edge and enhances long-term success. Civil. Ultimately, companies recognize the importance of getting other companies to follow their lead. They enlist the cooperation of other companies in supporting the issue of concern to the public. This chapter discusses a five-stage process that companies go through in responding to public criticism. Consider the situation in which McDonald’s found itself when it faced massive public criticism for serving unhealthy food that contributed to a national epidemic of obesity. Given what you know about the company’s reaction, identify the steps that it took in response to this criticism. 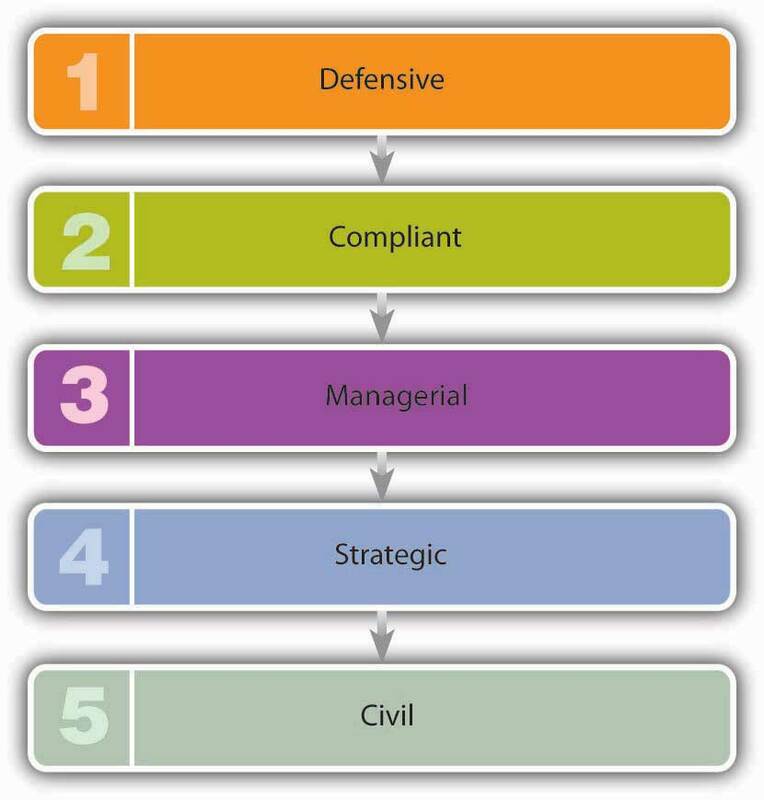 In particular, show how its responses do or don’t reflect the five stages of corporate responsibility outlined in the chapter. In your opinion, how far along the five-stage process has McDonald’s progressed?